After having looked into Vagrant, it became clear that Puppet and Chef are "the" tools to do the structured and repeatable configuration of machines. I picked the recent book "Learning Chef" to learn and experiment a bit. 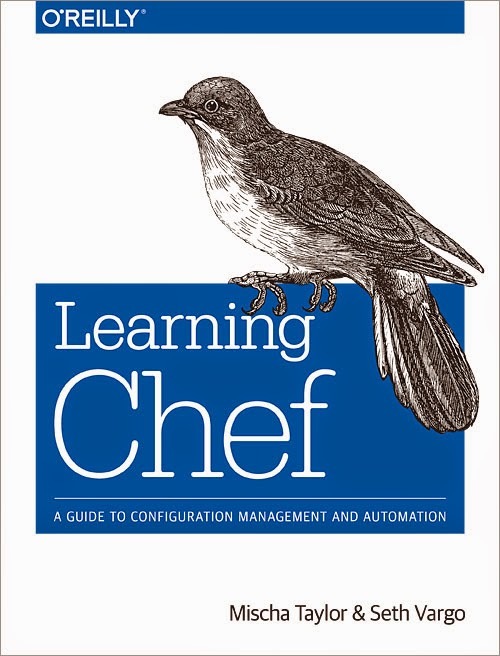 The book uses the recent Chef Development Kit which should gradually replace the tool called Knife. The focus op Chef really lies on getting the software on the machine installed, configured, and up and running. On the target machine, a Chef Client is installed that will retrieve (new and updated) recipes from a Chef Server. So the Chef clients each pull the recipes from the Chef Server. Note: the tool Ansible does the opposite, pushing configuration data to the machines. Many cookbooks or recipes can be downloaded from the Chef Supermarket and others.